As Founder and Principal of Norton Metro, Scott believes in not just protecting his client’s assets, but empowering them to understand the best course for their financial future. For over 23 years, Scott has been a proactive risk management partner, building strong relationships with his customers and throughout the industry. After graduating from the University of Georgia with a degree in Risk Management & Insurance, Scott sold insurance products at Love, Douglas & Pope, as well as the Georgia Farm Bureau Insurance Company. In 2008, he founded Norton Metro with the vision of helping his clients ensure the future of their livelihood while providing the best talent in the industry an exceptional work environment. In addition to being President of Norton, Lewis & Goro, he serves on the Board of Directors for the Professional Insurance Agents (PIA) of Georgia as well as the Gwinnett Children’s Shelter. 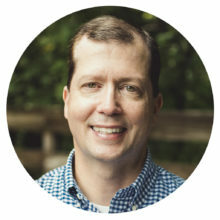 He is regularly sought out for his guidance from other industry leaders and has been honored with earning his Certified Insurance Counselor and Certified Risk Manager designation from the National Alliance Institute for Insurance Education, a designation earned by less than one percent of Georgia agents.